The INTERNATIONAL KARATE KOBUDO FEDERATION was pleased to hold its 27th Annual IKKF ANNUAL TRAINING, JULY 8-10, 2011. 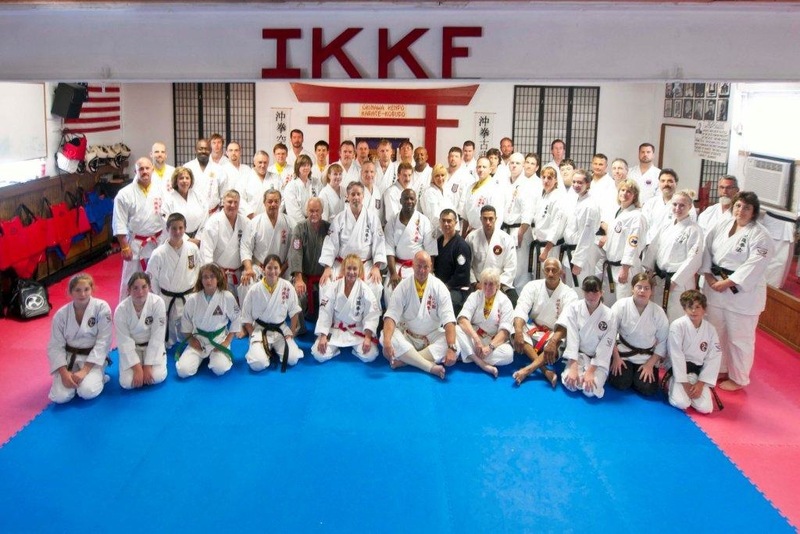 The 2011 IKKF ANNUAL TRAINING was held at THE IKKF HONBU IN READING, PA. 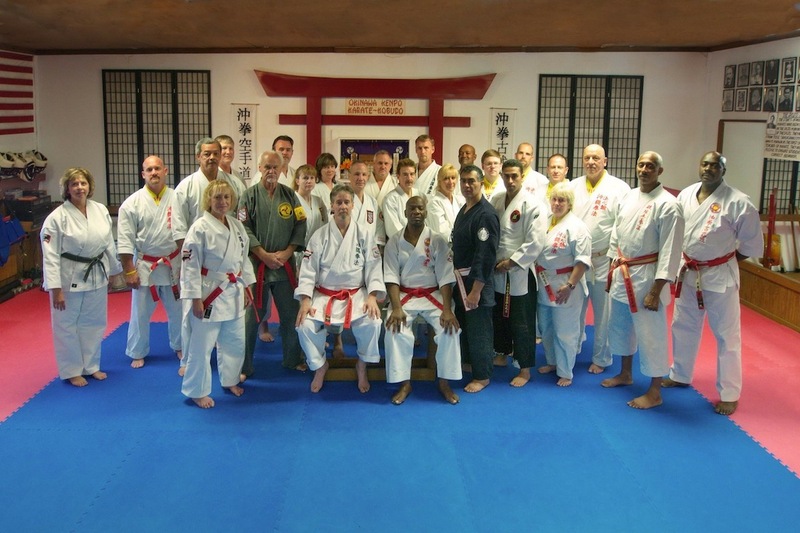 The 2011 IKKF ANNUAL TRAINING ran over 3 days covering BEGINNER, ADVANCED AND INSTRUCTOR training for KARATE, KOBUDO, APPLICATIONS THEORY, DRILLS, AND HISTORY LECTURES. A group photo of the participants at the 2011 IKKF Annual Training. This photo is of the Hanshi, Kyoshi and Renshi attending Annual Training. Kyoshi Hayes teaching a seminar on applications. Hanshi Paul demonstrating Toide during one of his sessions. Hanshi Heilman taking group through tunfa session. Kyoshi Epps leading a stretching session prior to his kata seminar. Kyoshi Louis taking students through a session on Chinto kata. IKKF Testing Board for Yudansha Testing held Friday evening. Yudansha testing candidates for Friday evenings formal testing. Two of the testing cndidates performing Bo kata. Some of the testing candidates performing Bo-Bo kata. Kata Seisan being performed by testing candidates..
Goju-ryu Kyoshi and Kobudo Renshi Carla Molinaro receiving Dojo of The Year Award. Mr. & Mrs. Heilman receiving awards from the Pennsylvania Karate Rating Association for Kobudo Instructors of the Year from Kyoshi Nancy Caliguri. Al Louis receiving his promotion from the OKKKU to Hanshi in Karate and Kobudo. Making the promotion were Hanshi's Heilman and Isaac.